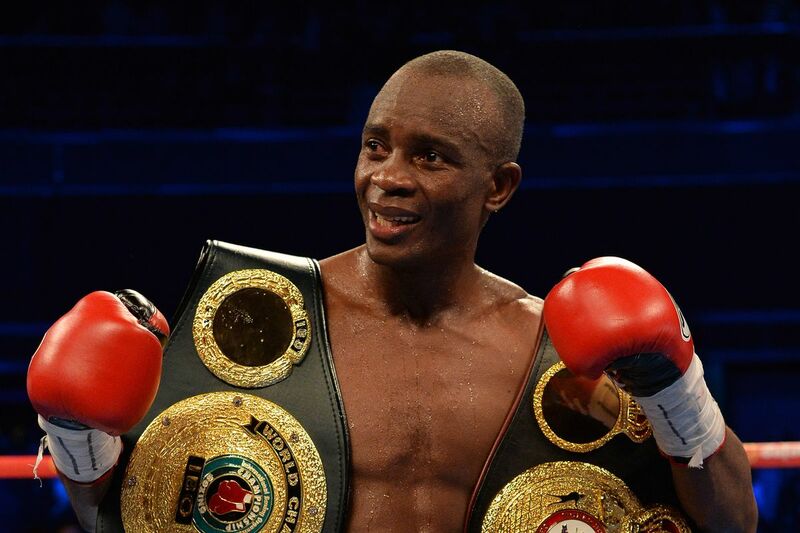 Former junior welterweight titleholder Julius Indongo has signed a new promotional deal with Lou DiBella, and will be moving his career to the United States as he looks to get back in the title mix at 140 pounds. Indongo, 34, won the IBF title from Eduard Troyanovsky with a stunning 40-second knockout in 2016, and unified with the WBO belt by beating Ricky Burns. He went on the road — to Russia and Scotland, respectively — for those bouts, proving his mettle as a top fighter in the division. When he met Terence Crawford earlier this year, however, he found it a level too far, which is fair enough given Crawford is an elite pound-for-pound talent. Crawford unified all four belts at 140 pounds with a third round knockout win over Indongo in August. Still, with Crawford vacating his belts to move up to welterweight, the division has opened back up. Plenty of names are in the title mix right now, including Sergey Lipinets, Mikey Garcia, Jose Ramirez, Amir Imam, Terry Flanagan, Rances Barthelemy, and Kiryl Relikh, and Indongo (22-1, 11 KO) could certainly make himself part of that group if he can get back on track.